Monster Spectacular are coming to town to the delight of motor sports fans. Don't miss this event present on April 6th, 2019 at the Montreal Olympic Stadium and in Quebec City at the Videotron Centre on May 19th, 2019. The whole family will enjoy this annual event. 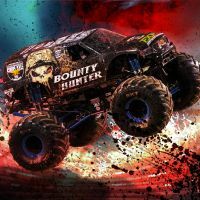 Come see the impressive MONSTER trucks demolish everything in their path.